This year's 40 Anniversary of the Reform and Openness Policy, introduced by Deng Xiaoping, this year marks analysts as a rule associated with the progress made in modernizing and reorienting the Chinese economy, with a marked increase in the welfare of the population. At the same time, changes in the economy gradually led to the formation of new peculiarities in China's foreign policy, which became much more oriented towards securing the interests of the state both near and far beyond the national territory: from the South and East China Sea to Africa, Latin America, and even to the Arctic the region. In this aspect, the role of the armed forces of the People's Republic of China, which besides the traditional tasks concerning the protection of territory and state sovereignty, has also become considerably more "foreign" functions, such as navigation security, anti-piracy, participation in international peacekeeping operations, etc. Given China's implementation of a number of global economic projects in unstable regions of the world under the "One Belt, One Way" initiative, the issue is the need for reliable protection and security of Chinese citizens and facilities abroad. The history of the People's Liberation Army of China (中国人民解放军) started from the Xanum 1 August 1927 of the year when the military units under the leadership of Zhu De (朱德), He Long (贺龙), are located in Nanchang (Jiangxi province)叶剑英 and Zhou Yenlai (周恩来) opposed the anti-communist coup organized by the Kuomintang party. By that time they received the name of the Chinese Workers 'and Peasants' Red Army (中国工eldudijus军), or just the Red Army (红军). During the Second Sino-Japanese War of 1937 by 1945, communist military forces were nominally integrated into the National Revolutionary Army of the Republic of China (国民 革命 军), forming two major all-union associations known as the Eighth Army (Commander Zhu De (朱德), the number is - 45600 thousand fighters, composition: 115-a, 120-a and 129-a division) and the New Fourth Army (commander - E Tin (叶挺), quantity: from 10 thousand 300 to 290 thousand fighters) . After that, the NWAC underwent a large-scale reorganization, which resulted in the creation of the Air Force and the Naval Force in the 1949 year, except for the land component. In 1950 year, the leading structures of artillery troops, armored troops, air defense, and public security forces were also set up. Later, forces of combat and logistics were formed: chemical defense forces, communications, engineering troops, medical units, and others like that. The NWAC was subordinated to the CCP and the All-China People's Congress through the Central Military Commission (up to 1975 year - the National Defense Council). In the future, with the 1950, the process of transforming the NWAC from the "Worker-Peasant" into the modern one began. A new impetus for further refinement and reform of the NWAC was made after Deng Xiaoping came to power in 1976 year and began at 1978 in the year of Policy and Reform Policy (改革 开放). One of the elements of the declared and taken as a basis in the economic development of the country is the principle of "four modernization" was the development of the military-industrial complex and the army. The main direction in the military sphere was the improvement of the forces of rapid response, equipment of a fleet of military vehicles, an increase in the share of military research and development expenditures in such fields as aircraft and shipbuilding, nuclear technology, and radio electronic means. Since the 1980s, the NWAC has moved from the land-based component of a large-scale Continental War to smaller, more mobile, high-tech combat units capable of carrying out combat operations, including outside of China. The reason for such changes was the threat by China's military and political leadership to a threat to national security: a Taiwanese question (for alleged US military support) and a possible confrontation with the Spratli Islands (南沙群岛) Islands in the South China Sea became a new challenge to replace the land invasion from Russia. Deng Xiaoping emphasized that the NWAC should focus on quality rather than on quantity, resulting in the decision of the Chinese government in 1985, the number of NWAKs was reduced to 1 million. Reductions and military management bodies were found: the number of headquarters staffs was reduced by approximately 50%. Subsequently, the analysis of the results of the Gulf War 1991 finally convinced the Chinese leadership that the numerous and outdated NWAC would be totally ineffective and incapable of a modern military conflict, even compared with the Japanese Self-Defense Forces. As a result, during the Ninth Five-Year Plan (1996-2000), the NWAAC was further reduced by 500 Thousands, with the simultaneous transfer of efforts to develop high-precision weapons, amphibious vehicles, intelligence and rapid response forces. And the "Revolution in the Military" (军事 事务 变革), was officially included by the next head of PRC Jiang Zemin in the 1993 National War Strategy. She finally approved the goal of reform, which is to transform the NWAC into a force that will be able to win in "local wars in high tech" rather than in a massive land war. The new concept has focused on the development of the Navy and Air Force. 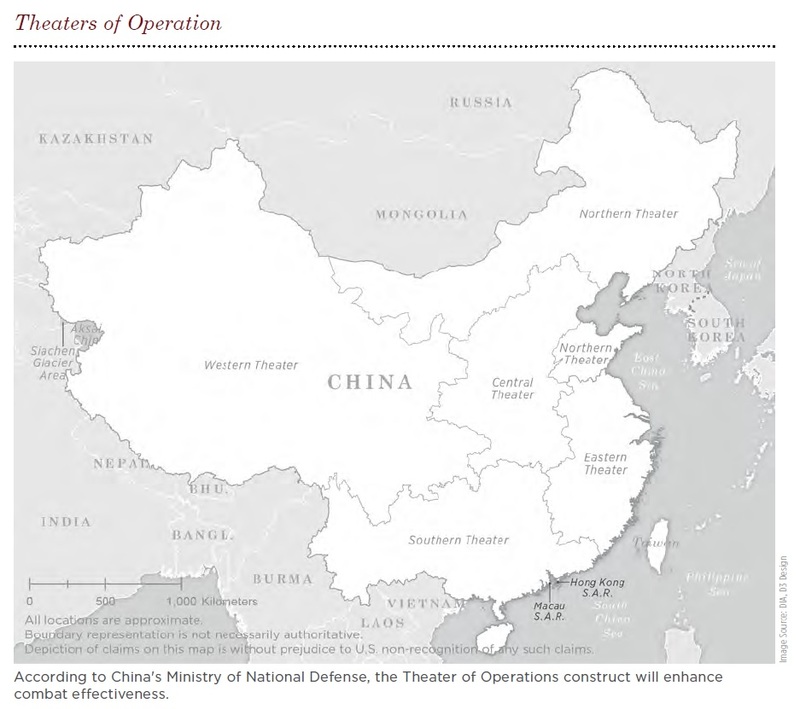 After coming to power in China's 2013 year, Chinese President Xi Jinping, the emphasis on the importance of the Chinese armed forces in the implementation of state strategic objectives (such as the implementation of the "Chinese dream", the construction of a common destiny community, etc.) was carried out in the state program documents and in the official statements of the higher guides. 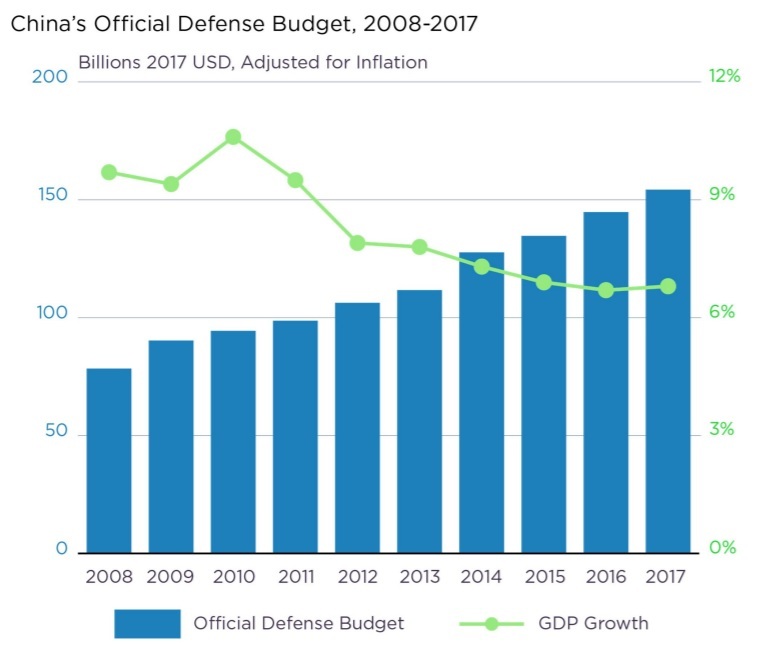 The result was the adoption in 2015 of a new edition of the White Paper "National Defense of China", which approved the main military-doctrinal position of the Chinese state. It was once again stressed on the exclusively peaceful development of China and on the implementation of a peaceful foreign policy that has a defensive character. The PRC's armed forces will remain a force for peace in the whole world, and China will never seek hegemony and expansion. 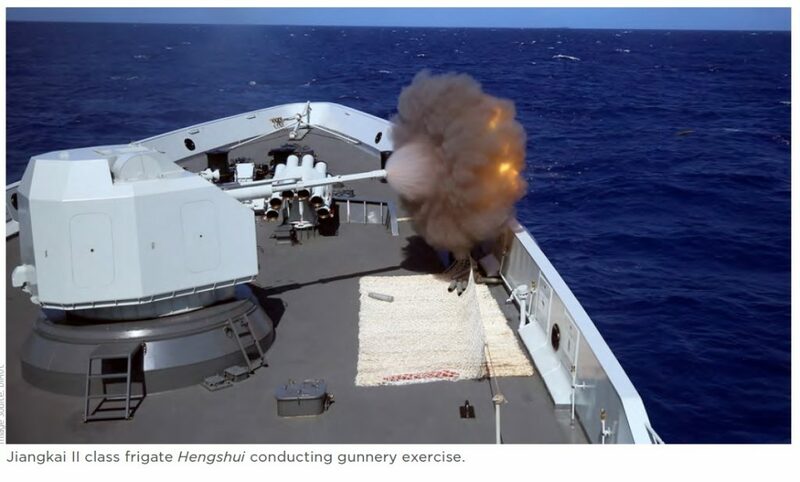 At the same time, the concept of the so-called "Active Defense Concept" is used, the essence of which is that China will not attack the first, but will surely strike a blow in response to the attack. In this regard, military capabilities will be strengthened. To speak of a nuclear component, China respects the principle of non-use of nuclear weapons first, and the non-use of nuclear weapons against non-nuclear-weapon states. In addition, it is emphasized that the nuclear potential of the state will be kept to the minimum necessary to maintain its own national security, which again emphasizes the peacefulness of China's policy. 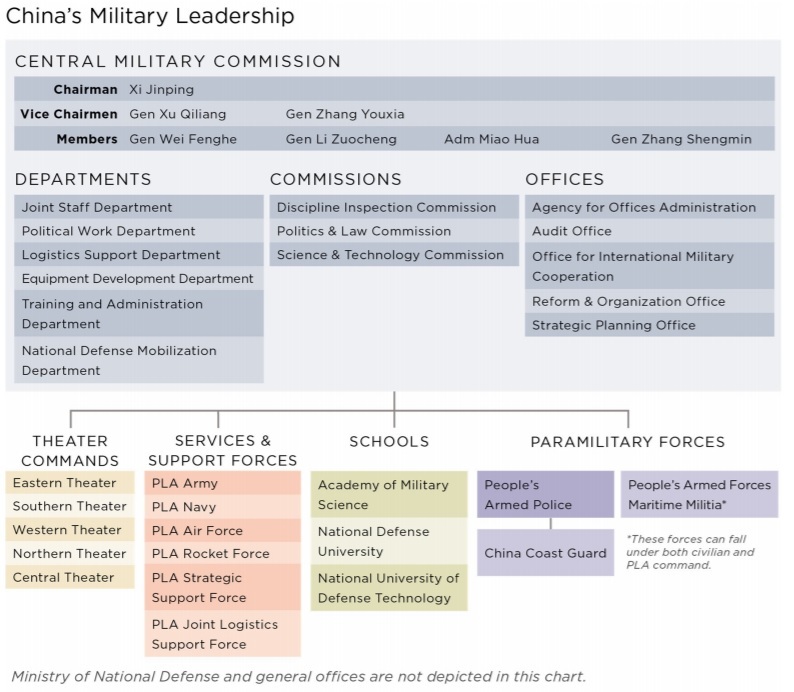 Analyzing the task of the armed forces, we see that they are as traditional as the military structures of each state, such as protecting sovereignty and territorial integrity, and tasks with "Chinese specifics", for example, "the unification of the homeland" (this refers to "Taiwanese question ", which, according to the latest statements of the Chinese leadership, does not exclude a military option) and China's interests abroad (probably the implementation of the initiative" One belt, one way ", the protection of Chinese objects in Fritz, the national interests in the East China and South China seas, etc.). The main areas of reform is a change in the structure and system of combat management of the armed forces, the transformation of their tasks, the strengthening of combat and expeditionary capabilities, the continuation of modernization of armaments and military equipment. As a result, in the 2016 year, instead of the previous seven military districts, five zones of combat command were created, which were named according to the strategic direction of their application: the Eastern, Southern, Western, Northern and Central combat zone. A full reorganization of the command structure of the NWAC was carried out: the role of the Ministry of Defense decreased significantly and the General Staff was reorganized, with the strengthening of the role of the Central Military Commission, which was directly subordinated to some of the new 15 specialized structures. Instead of the General Staff, a new Western-style military management body was created - the Joint Staff, whose main task is operational-strategic planning and joint management of troops. The Joint Headquarters is as much as possible exempted from the administrative, economic, logistical, educational and mobilization functions that were previously the prerogative of the General Staff of the NWAC. Types of armed forces according to the 2015 reform of the year are only responsible for building, training units and are now deprived of operational leadership, which clearly demonstrates the transition from a centralized Soviet-style army management system to the combined Western-style commanders. The second significant change is the transformation of the tasks of the armed forces, which have become increasingly focused on protecting China's national interests abroad and in the oceans. The so-called China's Blue Water Navy Strategy was implemented, which is to increase the combat capabilities of the Navy for action not only in coastal waters, but also outside the so-called second island ridge, and which is being actively implemented. In this context, the NWAC has significantly intensified its activities in the fight against piracy and peacekeeping operations, as well as efforts to open foreign naval bases. 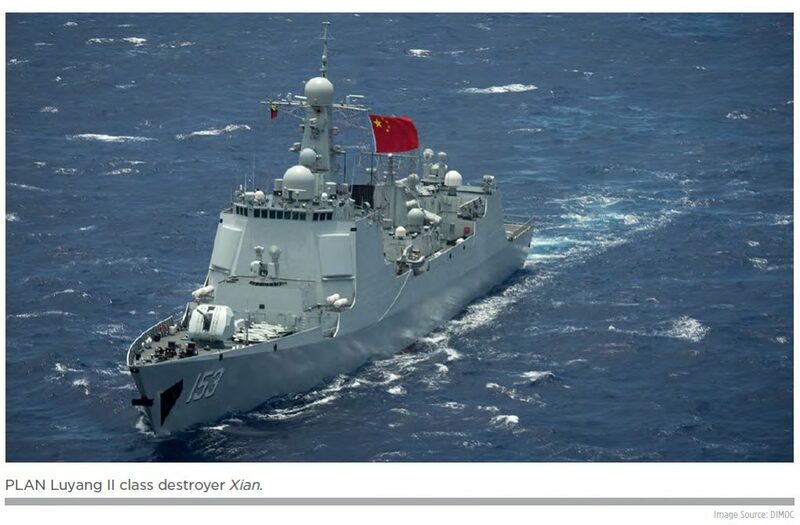 The first WMB of China abroad was the Djibouti WMD (open at 2017 year), which according to official reports will be used to assist the Chinese forces carrying out anti-piracy, peacekeeping and humanitarian missions in the region. At the same time, according to experts, the location of the BMB, a few miles from the US naval expeditionary database, "Campe Lemonie" provides a great opportunity to monitor and conduct intelligence on the US Navy in the region. Also, within the framework of the already implemented blue water strategy, the construction of a new ship structure, which is designed to carry out tasks in the far offshore and ocean zone, is being actively implemented, a gradual transition from the offshore waters defense strategy to the combination of offshore waters defense "And" open seas protection "open sea defense. As a result of the redistribution of priorities in the direction of the Navy, in 2017 year the reduction of the land component to 300 thousand people and increased the number of Naval Forces to 100 thousand people. It is important to note that China in military construction in many areas relies on partners in military and military-technical cooperation. For a long time, due to the arms embargo imposed by the United States and the EU on China, the key partner for the PTS for the People's Republic of China was traditionally Russia, with arms imports estimated at 2012 million by 2017-4488 according to the SIPRI Institute for the Study of Peace in Stockholm. dollars US and 60% of all imported weapons and assets. It is now clear that, in many areas, China has managed to establish its own production and is now abandoning many examples of Russian weapons. At the same time, the priorities of cooperation for China, contrary to common theses, are likely to be in Washington, not in Moscow. This was demonstrated very clearly by the Beijing Xiangshan Forum 2018 in October, "Building a new security partnership with equality, mutual trust and win-win cooperation." 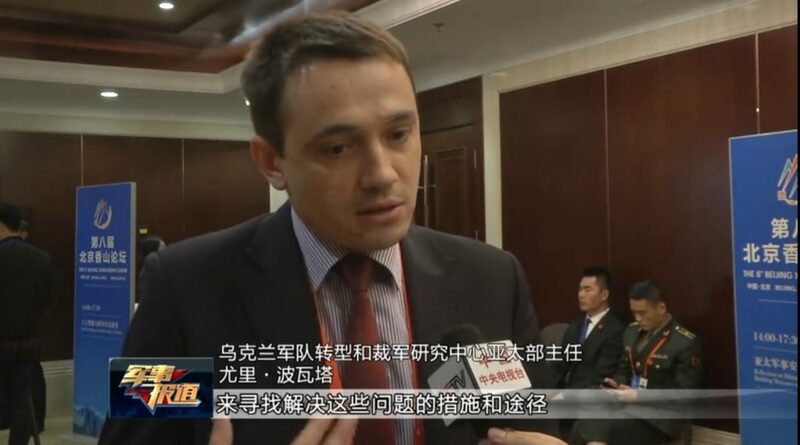 This forum is a key international event in the field of international security in China. 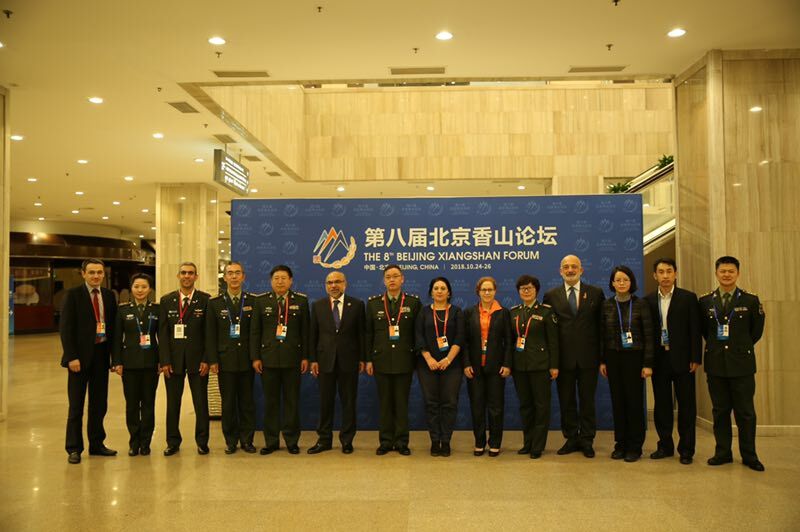 The theme of the forum this year included topics such as international security in the Asia-Pacific and Northeast Asia, Middle East security issues, the fight against terrorism, cooperation in the field of maritime security, challenges for international peacekeeping operations, the use of artificial intelligence for military purposes etc. A confirmation of the high status of the forum was the presence of the highest political and military leadership of China (in particular, a member of the Permanent Committee of the Politburo of the CPC Central Committee, the head of the Office of the Central Committee of the CPC and the Office of the National Security Commission of the CPC Central Committee, Li Zhanshu and the Minister of Defense of the People's Republic of China Colonel Wei Fenghe), and also hundreds of military research delegations from all over the world. Analyzing the theses of the speeches of Chinese officials, it should be concluded that at present, the key partner for security issues for China is the United States, not Russia. 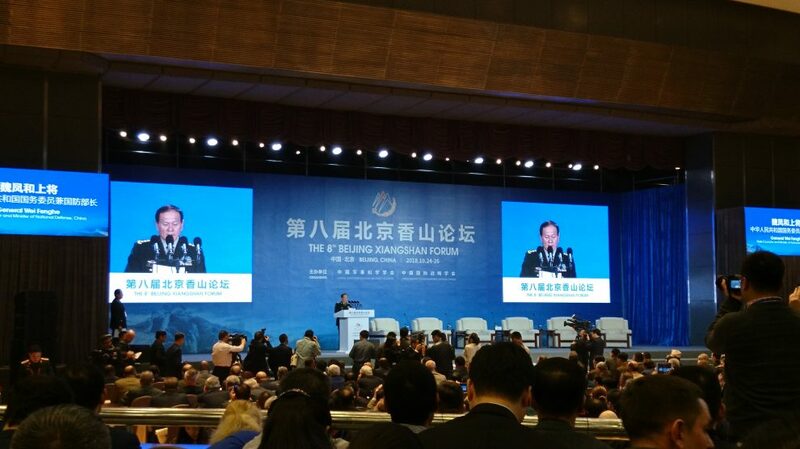 The main leitmotiv of the speeches of representatives of the Chinese top military-political leadership and military experts in virtually all sessions and panels of the forum, was the promotion of the thesis on the importance and necessity of cooperation of the PRC from the United States. At the same time, all the key security issues in the world, which China attaches, relates specifically to the Sino-American relationship: work on the denuclearization of the DPRK, the search for consensus on territorial issues in the South China Sea, the settlement of the Taiwan question, etc. The thesis of the importance of constructive relations with the United States for China (despite the difficult relations that exist with regard to geopolitical rivalry) has become key in virtually all open and closed discussions. 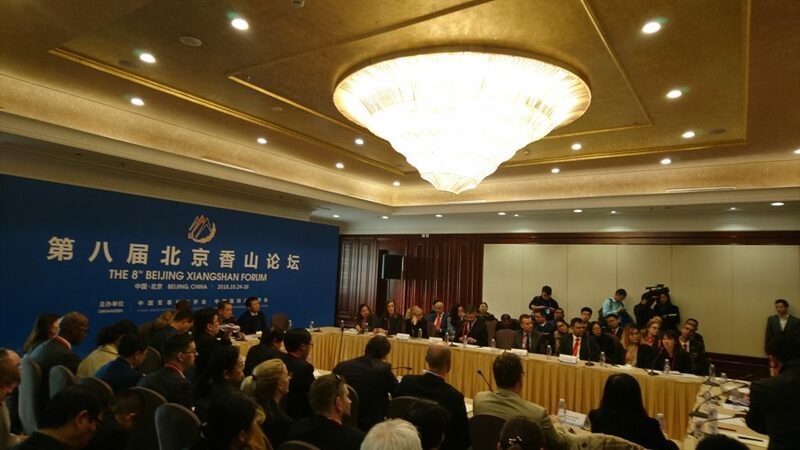 On the sidelines of the forum, most foreign experts also adhered to this view: the Chinese politicians' and military's emphasis on the need for cooperation with the United States suggests that China views the United States as the most important partner with which it will strive to stabilize economic and political relations, as well as , whenever possible, to establish a dialogue at all levels in the military sphere, which is currently limited in scope. That is why in the speeches of the Chinese leadership "American subjects" sounded the most and the only positive key. 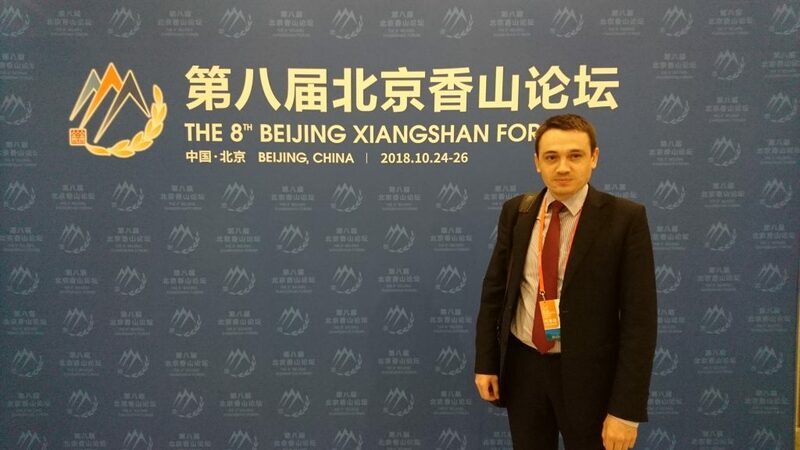 In this aspect, it is indicative that during the seminar for young officers and researchers, which was held within the framework of the forum, the topic for discussion was "How to prevent the Cold War and improve the Sino-American relationship." During the seminar, the Chinese side also called for a dialogue and avoiding confrontation between the United States and the PRC. It was concluded that, even under the pressure of the United States on the PRC, the breaking of military ties, it is very important for China to continue the dialogue with the United States and not to go into international isolation. Interestingly, Russia was virtually not mentioned in the theses of Chinese leaders (either in strategic cooperation, nor in the North Korean settlement, nor in the South China Sea), and the speeches of some Russian experts were subjected to devastating criticism even from the side of the Chinese side. 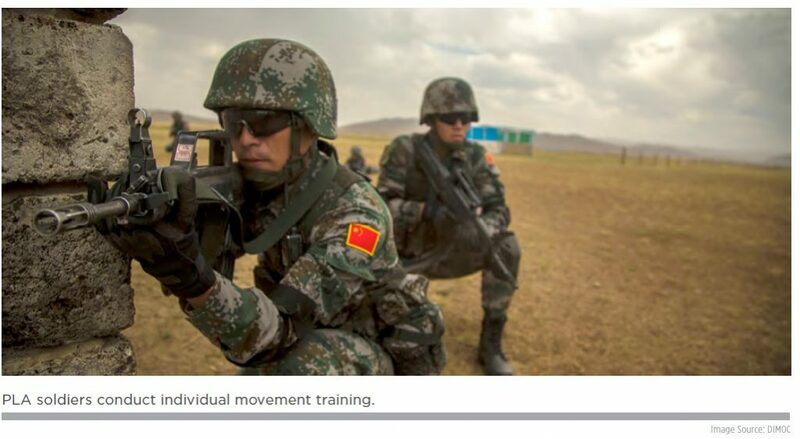 Therefore, it is logical that China's cooperation with the Russian Federation is mediated and aimed at providing certain "tactical" tasks of the NWAC. The military reform of the NWAC is closely linked to the geopolitical ambitions of China in the world, so the modernization of the national armed forces remains under the auspicious attention of the leadership, while it is quite obvious that changes are being made not only at the top of the iceberg. Formatting is subject to virtually all issues of military activity: from military-doctrinal positions and tasks of the armed forces, to the structure, system of combat management, weapons and approaches to personnel training. At the same time, Chinese leaders insist on exclusively defense construction, the protection of peace and stability on the planet on the principles of mutual respect, justice and mutual benefit. They argue that China will never become a hegemon and will not expand, and all controversial issues will be resolved exclusively through international dialogue. Despite the existing negative factors in China-US relations, the leadership of the People's Republic of China views the United States as the main and most important partner with which to overcome the existing contradictions and deepen cooperation. In this regard, in the international environment, Chinese politicians and military actively promote the thesis of the need to continue the dialogue, search for mutually beneficial solutions, continue joint efforts in the Korean settlement and dialogue on stabilizing the situation in the South China Sea, etc. At the same time, according to Chinese leaders, the PRC should continue its non-interference policy, and cooperation with other countries should not have signs of a military-political alliance and should not be directed against other states. Press conference: "Challenges and challenges in the field of national security and defense before the new president"
The arms market. Where is Ukraine?